We raced at Howard School at Rainham, Kent for a good few years hosted chiefly by Rob Kennison on behalf of Victory CC and by Team Darenth. We would race over the whole area which included the boys and girls schools but as they built fences between each other and further developed the site it became harder and harder to promote there. 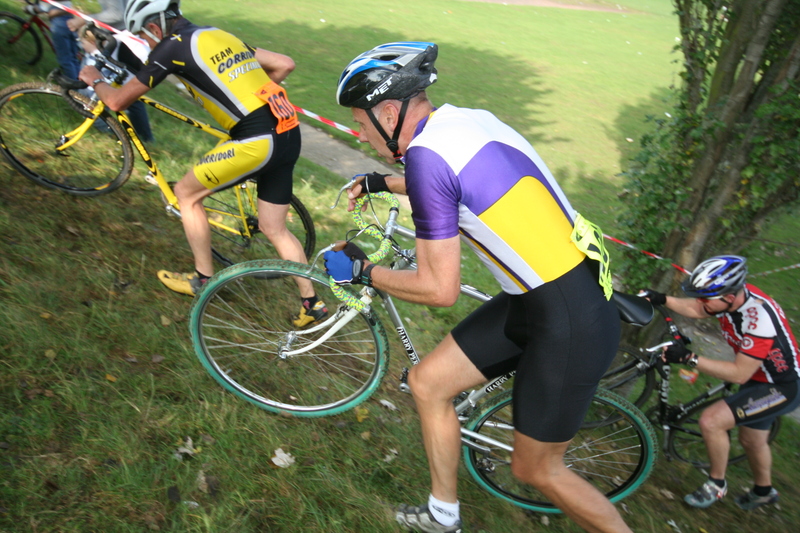 Rainham was also the last venue/race where the London Cyclo Cross Association promoted a National Trophy race and few could forget the appalling conditions in 2003. The site also hosted the cyclo cross regional championships. John Mullineaux said: “A venue famous for its litter”. Mark Russell: “Loved that track, always remember two wheel slides when cornering on the lower field… great fun”. National Trophy action in 2003 OH and it rained, a lot! National Champion Amy Thompson in 2007 – litter at the school was everywhere!